Duel in the lap of luxury with the Yu-Gi-Oh! TRADING CARD GAME Kaiba’s Majestic Collection Game Mat! 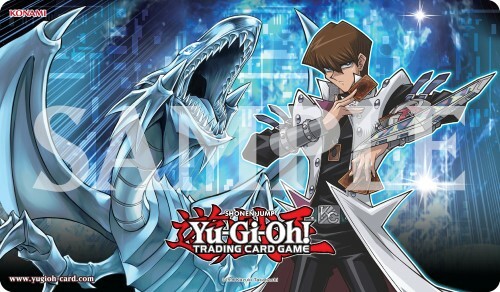 With artwork from Burst Stream of Destruction and Majesty with Eyes of Blue as well as Seto Kaiba himself, you’d expect to pay a Kaiba Corporation-sized fortune to get your hands on it! This full-sized, rubber Game Mat is the same size as Game Mats used as prizing in various Konami sanctioned events, so it is perfect to Duel your way to the top. Made with high-quality materials, your Dueling experience will be as smooth as possible.